Would you ever think that one day super computing devices will be small enough to fit in the palm of your hand, or watching a piece of plastic recovering itself after a cut though it? Well, in the world of nanotechnology, this dream is within reach. Nanotechnology is advancing at an incredible rate and is paving the way for technology advancement in the future. Nanotechnology is nothing new. It has been around in the minds of scientists for decades, and is most easily described as the science of using atoms and molecules as the building blocks for electronics and mechanical devices. The vision of manipulating individual atoms as building blocks was first introduced into the minds of others by a man named Richard Feynman. His vision later turned into the passion of his student, Eric Drexler, who is one of the pioneers in the field of nanotechnology. Drexler was the first documented scientist to suggest that devices and materials could someday be fabricated to atomic specifications. With the ability to construct mechanisms at an atomic scale, possibilities are endless and some scientists have begun discovering new ways to solve old problems that have plagued cultures for decades. The public might not have noticed, but nanotechnology has been in the technology field for quite a while. Mechanisms such as constructing diamonds on an atomic level and manufacturing cubic zirconium were developed with nanotechnology. These types of innovations are becoming more advanced and more beneficial in our daily lives. Nanotechnology is yielding innovations and developments in all disciplines of science and engineering, especially in the field of computing and electronics devices. It is quite possible that nanotechnology could lead us to a cure for cancer by sending nano-sized robots into our body, super computers that could fit in the palm of a personal hand, and plastics with the ability to mend superficial cuts on their own. The applications are endless. While we are still far from commercially utilizing and fabricating machines at the molecular level, but nanomaterials are already in production. There are three main streams of nanomaterials that are well-known in the technology industry: nanoclay, nanoscale metal oxide, and carbon nanotubes (Wood & Scott., 2002) Among the three, nanoclay, which is the main component of nanocomposites, has the most real world applications, while the features of nanoscale metal oxide and carbon nanobube have yet to be fully utilized. Most nanomaterials along those three lines behave very differently from their larger cousins. For example, Nanocomposites are made by combining surface modified nanoclay, or intercalate, and a host polymer together. This kind of composite has enhanced strength, reduced weight, improved mechanical and thermal properties, and it reacts differently to light and radiation in comparison to base resin that are used in our daily lives (Nanocor Inc., 2003) The automobile industry has already began integrating nanocomposites in their auto parts, while Converse and Wilson sporting goods are trying to develop sneakers and tennis balls with nanocomposites. Nanometals are produced in controlled atmosphere by electro exploding a metal filament. Nanometals have enhanced chemical and metallurgical reactivity owing to their very high surface area. Applications include powder metallurgy in the diffusion process of compounds and alloys, and producing conductor for microelectronics. Nanometals also have high corrosion and wear resistance (Nanocor Inc., 2003) When nanometal powders are added to lubricants, they can help to reduce wear and extend the life of heavy-duty engines. However, further research must be done before we can see nanotubes as an effective engineering material. Exploring more and different materials at the molecular level is a trend set by the fast-growing market for nanoscale materials. This will encourage private companies and public institutions alike to put more funding and time in it. We may see a whole new range of materials in a couple years. Cancer is one of the most dreadful diseases that is threatening our bodies. A new way to cure cancer could be just one of many new breakthroughs in the field of nanotechnology. Scientists have begun development on techniques to cure debilitating diseases like cancer. Two professors at the University of Michigan have initiated development on a new idea called nanoparticles. Nanoparticles range from 20 to 200 nanometers in length and plan to be used to combat cancer (Clandos, 2001.) The premise for these nanoparticles is that they will be inserted into a cancer victim’s brain (or other areas) to destroy cancer cells too dangerous to remove using more primitive techniques. The particles have the ability to maneuver around inside delicate areas of the brain that could otherwise be severely damaged by invasive surgeries attempting to remove cancerous growths. The benefits of using nanoparticles are that the patient experiences little to no pain, needs an extremely limited time for recuperation, does not accumulate visible scars, requires no local anesthesia, and does not need chemical or radiation therapy. All in all, a patient that undergoes nanoparticle treatment will be healthier than a patient that undergoes one (or many) of the traditional treatment methods. Nanoparticles are made up of a magnetic core, surrounded by a plastic outer casing (Clandos, 2001.) The particles are attached to an antibodies that draw cancerous cells toward them; the nanoparticle is then traced with a magnetic resonance imaging (MRI) machine and blasted with a laser once enough cancerous cells amass around it. This form of medicinal nanotechnology is still in development with hopes of testing the method on lab rats in 2 years and then proceeding to clinical testing of human patients a few years later (Clandos, 2001.) With such a powerful tool, the limits of advancement are endless. Has there ever been another technology with the ability to cure cancer forever? It seems nanotechnology is a bright hope for our future. Plastics are no longer hiding in the shadows; a group of scientists have used nanotechnology to formulate a plastic compound that, when cracked, seals the tear and mends itself on a molecular level. The way it works is, the plastic has millions of molecular capsules that contain a liquid chemical, dicyclopentadiene, and when the capsules are broken (due to a crack of some sort,) they mix with the other catalyst molecules that cause the dicyclopentadiene to turn into a gel-type substance and eventually harden into plastic (Stinson, 2001). This self-healing plastic compound was created by researchers at the University of Illinois, who have been able to demonstrate a working prototype of the material in action. The scientists claim that the technology of this self-healing plastic has the potential to extend the life of millions of devices by eliminating the need to replace old, worn devices merely because their age is a safety risk. This type of technology has a multitude of possible uses, ranging from an unbreakable bottle that could prevent injury to an implantable body part that’s able to maintain itself and effectively eliminate the need for follow-up maintenance surgeries to repair damaged equipment. With more funding and continued efforts on research, it is possible to have this self-healing plastics technology at our fingertips as soon as within the next 5 years. Don’t be surprised that one day you see the plastics cap of your soda bottle heal itself from a crack. Imagine everyday life where electronics devices are so small that they could be mistaken for a grain of salt. Now imagine the endless possibilities these miniature devices would yieldВ the ideas that are rushing through your head right now may already be in development. Scientists from both UCLA and Hewlett Packard with funding from the Defense Department have announced that they have patented a way to begin manufacturing computers at molecular level. Researchers at the UCLA and Hewlett Packard have already been able to connect miniscule switches with chemical wires that range in size from six to ten atoms long and only two atoms tall (USA Today, 2002). The team of scientists have also managed to figure out a way to operate molecular systems, in spite of imperfections. In 2001, a pair of scientists from both HP and UCLA were able to create a chemical process in tandem with a computer program that allowed them to map out a circuit, much like a set of streets connected together in a city (USA Today, 2002). The advantage of mapping out the circuits this way is to allow a computer’s central processing unit (CPU) to be able to access area specific data. This would allow for more room for data storage, but also increases the delivery complexity. Nevertheless, the benefits of using a grid type circuitry to increase data storage far outweighs the drawback of increased complexity. The next step in creating this molecular town of circuitry is to develop a way to manage the flow and direction of electrical signals. The scientists plan to make the electrical signals to act much like everyday vehicles, by implementing ? ?traffic lights?? for the signals to abide by. These electric-chemical traffic lights will have the ability to redirect the flow of the signals, or stop them when necessary. If the scientists succeed in creating the traffic light circuit design, they will have successfully imitated the way current computers operate (USA Today, 2002), and thus shattered the barrier that stops the world from creating supercomputers that fit in the palm of your hand. In conclusion, nanotechnology is constantly improving, making innovations in leaps and bounds and generating tremendous expectations for the future. It is quite possible that we may be capable of curing cancer, manufacturing handheld supercomputers, watching plastic heal itself after being damage. All these could happen but a tremendous amount of research and development is still needed to be done before turning this vision into reality. Excitement is growing and science can hardly wait for widespread implementation of nanotechnology. 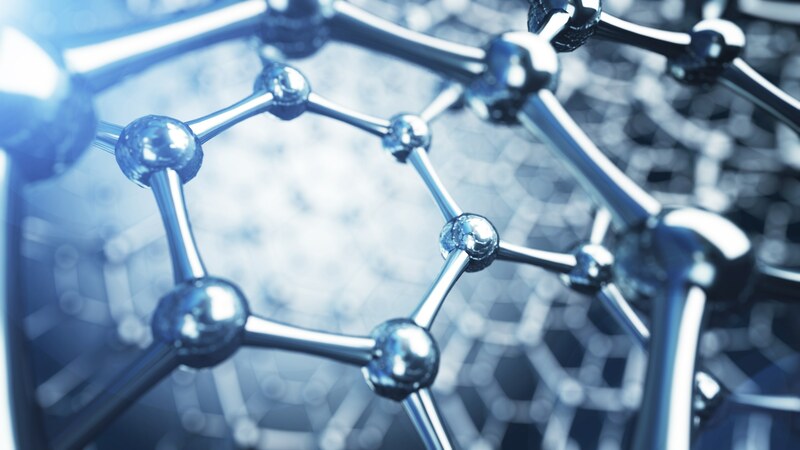 There are endless possibilities to the advancements nanotechnology may possibly yield, all we can hope for now is that the theories can be accomplished quickly and efficiently within our real world restrictions. Nevertheless, one thing is evident; nanotechnology is here to stay and will continue to generate inventive new solutions to problems as long as science exists in the minds of the human race.